Chad Williams says renting out his house in the near West End through Airbnb provides more than extra income — it allows him to meet interesting guests. 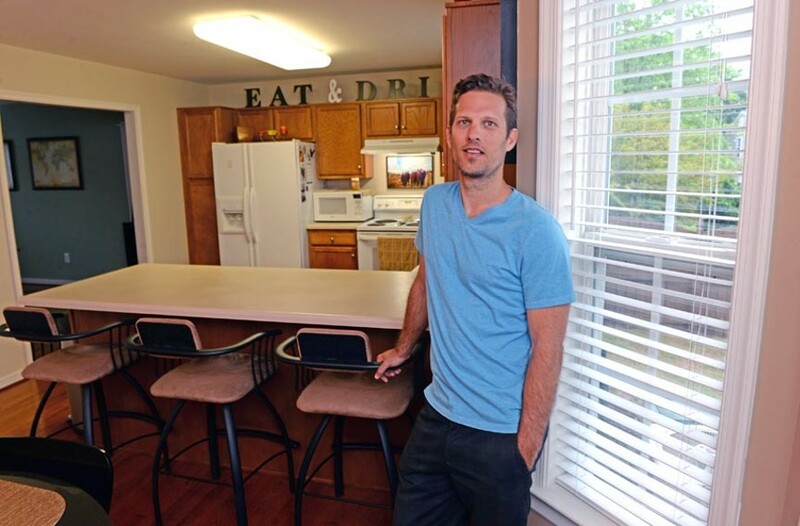 Before the city started grappling with the tax implications and zoning kinks sparked by such online room-rental sites as Airbnb, Chad Williams was a believer. The 36-year-old owner of Creative Visual Design would rather check into a room off the beaten path — and make a little money renting out his own place — when he travels. “The right host can make an experience far better than a hotel,” he says. But strangers in your house? “My current Airbnb visitor is a 62-year-old software engineer from Raleigh. He is on a Match.com date in Williamsburg at the Trellis. To prepare for his date, he drove there today to see the restaurant, make a reservation and picked out their table. He then drove back here, showered and got ready. I wished him luck like the first day of school and told him I would wait up for him to get the juicy details if he came home, wink-wink. “So he went early, picked flowers from outside, asked for a little vase and put them on their table. He also gave her a box of Godiva Chocolates and wrote her a poem. She was very impressed and they had a great time. He said she was so gorgeous and he thinks they will keep in touch and see where it goes. 1. Keep in mind that people use Airbnb out of choice, not from lack of hotel inventory. 2. I set up a separate bank account so all Airbnb money goes there. I then use it to add new items to the room, put some additional money toward my mortgage or take a trip. 3. I insist users have a Verified ID. 4. In Virginia we currently pay income tax, but not hotel tax. 5. Setting defined rules and expectations has provided me with excellent results after 45 visitors.